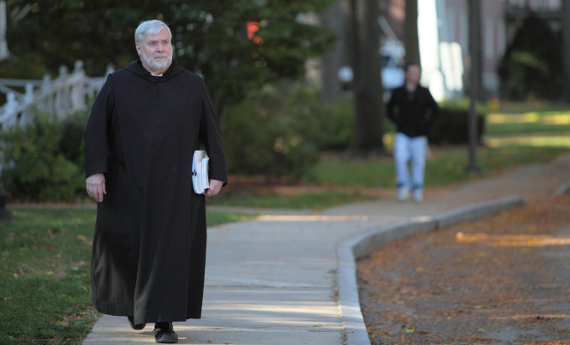 Our Catholic Benedictine tradition of faith, reason, and community engagement is the foundation of life at Saint Anselm, and it comes to life every day through the community of Benedictine monks who live at Saint Anselm Abbey. You'll also see it in the lives of the students who work together to create an environment where hard work pays off, where new paths are discovered, and where time-honored traditions are a part of life (and new traditions are created all the time). 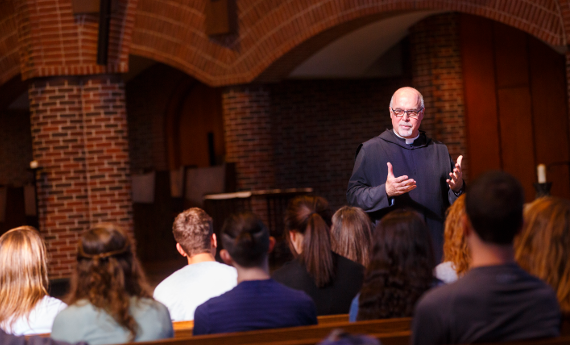 Campus Ministry offers Anselmians opportunities to discover and enter into the spiritual life, fellowship, and Christian community that are at the core of our Catholic and Benedictine identity. Whether you are Roman Catholic, part of another faith tradition, or are uncertain about your faith, Campus Ministry is here to journey with you. 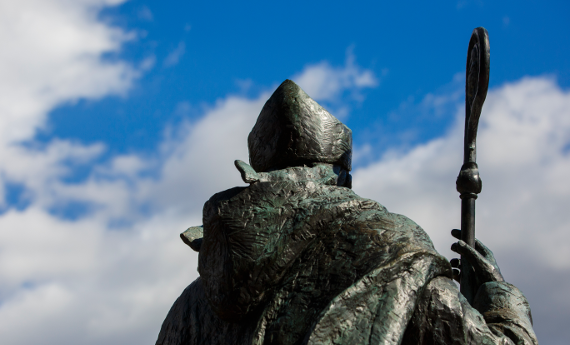 Saint Benedict knew that true fulfillment and happiness in life comes from being at peace first with God, then with oneself, with others, and with the world. It's about educating the whole person: very Benedictine and certainly very Anselmian.